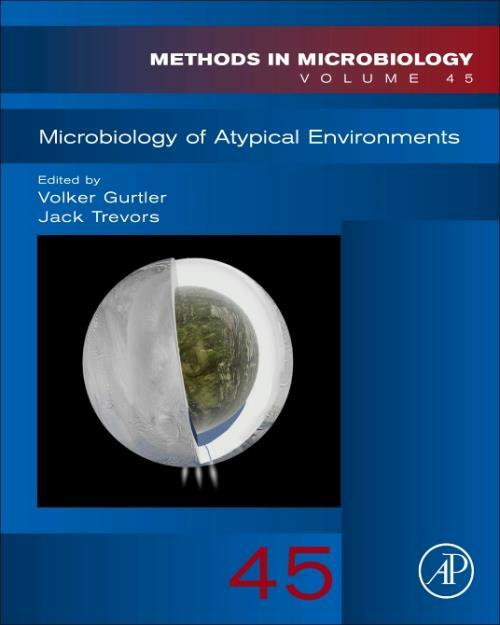 Microbiology of Atypical Environments, Volume 45, presents a comprehensive reference text on the microbiological methods used to research the basic biology of microorganism in harsh, stressful and sometimes atypical environments (e.g. arctic ice, space stations, extraterrestrial environments, hot springs and magnetic environments). Chapters in this release include Biofilms in space, Methods for studying the survival of microorganisms in extraterrestrial environments, Persistence of Fungi in Atypical (Closed) Environments Based on Evidence from the International Space Station (ISS): Distribution and Significance to Human health, Methods for visualizing microorganisms in Icy environments, Measuring microbial metabolism at surface-air interfaces and nuclear waste management, amongst others.